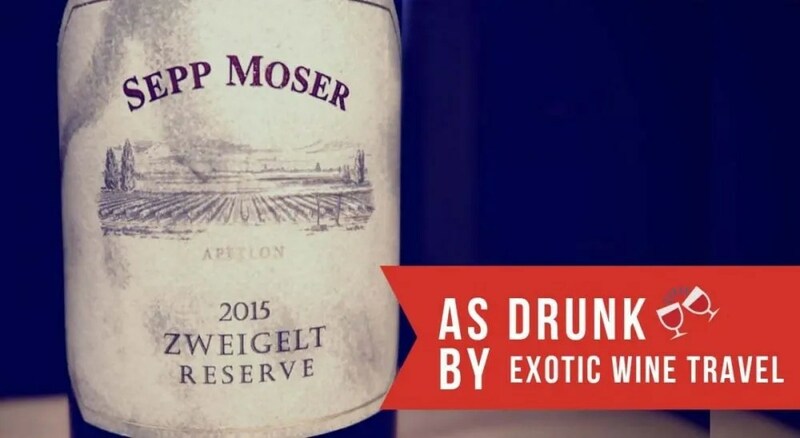 We welcome wines that catch us by surprise and the Sepp Moser Zweigelt Reserve 2015 is one of those examples. During a hot summer day at U Adama Wine Bar in Bratislava, Charine and I were patiently drinking through the 2015 vintage of natural wines from Morava (Czech Republic) and Slovakia. We were sweating through our shirts but enjoyed the refreshing white and orange (amber) wines that were served. The bottle was revealed. We recognized the name but the grape didn’t excite us. Because of the heat, we were hardly interested in drinking a red wine. On top of that, most Zweigelt (a cross between St. Laurent and Blaufränkisch) we’ve tasted are simple, light, and unremarkable wines. 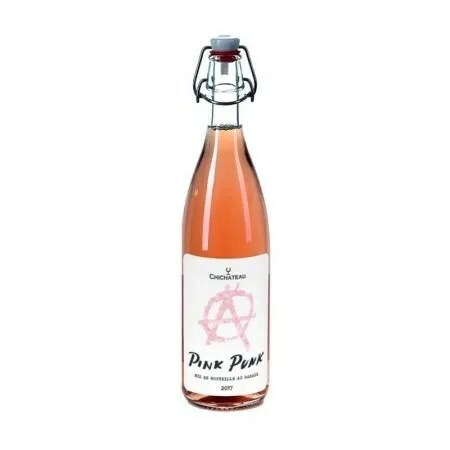 Our job is to put preconceptions aside when it comes to wine, so we took a sip. My interest was piqued immediately. The wine was a little tannic at first for the grape, which surprised me. I let it sit in the glass for a few minutes before going in for another taste. This process repeated itself until over half the bottle was gone. The wine became better and better as we slowly finished the bottle. 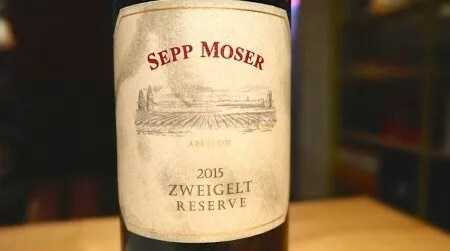 The Sepp Moser Zweigelt Reserve 2015 is a refreshing red that is dangerously easy to drink. Sepp Moser Zweigelt Reserve 2015 is aged for 20 months in used barriques (225L) and 300L barrels. It’s an outstanding Zweigelt, scratch that, it’s an outstanding medium-bodied red wine. It’s full of sour cherry, strawberry, cedar, and a fall leaf undertone. A touch of tannin from the barrel while feeling silky smooth on the palate with juicy acidity. It’s a fun wine to drink and a perfect companion with food. Fans of lighter-style Tuscan Sangiovese will feel right at home with this effort. Kudos to Sepp Moser on a beautiful wine! Please note that the opinions expressed are our own and have not been paid for in any way. We do not sell editorial content as that would destroy the legitimacy of our reviews and the trust between Exotic Wine Travel and its readers. On occasion, we extend the option of purchasing the wines we review or/and the products we spotlight. Some of these product links are set up through affiliate programs, which means Exotic Wine Travel gets referral credits if you choose to purchase these items via the links we provide.